Just a short ferry ride from Perth and you’re transported to an aqua-fringed playground full of sunshine, exploration and some friendly furry faces. 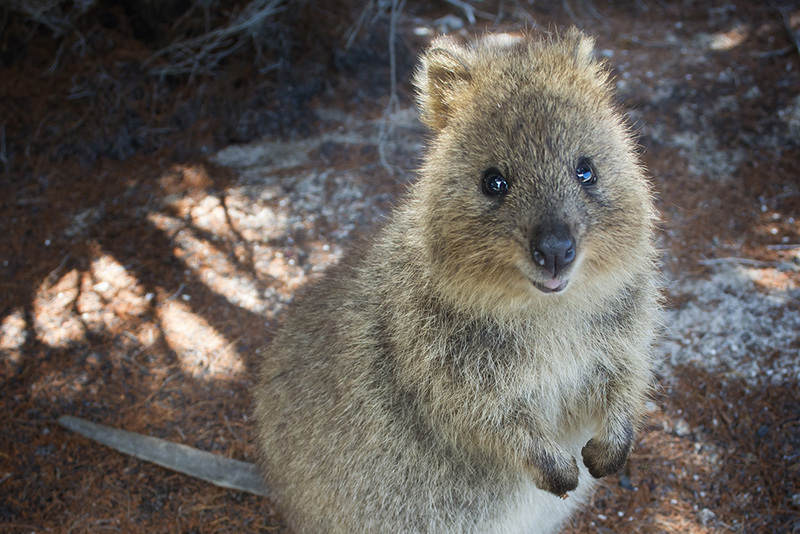 Rottnest Island may be best known for its famous marsupial resident, the quokka, largely thanks to the worldwide quokka selfie craze. Dubbed the happiest animal on Earth, the island’s bright-eyed quokkas have been snapped with some famous faces including Hugh Jackman, Roger Federer, Terri Hatcher and, most recently, Margot Robbie. While this has put Rottnest in the international spotlight, there’s so much more to discover once you arrive on this stunning island. Rottnest Island is the largest island in a chain of limestone isles and reefs on the continental shelf, near Perth. With a Mediterranean-style climate, 63 beautiful beaches and 23 glorious bays, Rottnest is the perfect short getaway or day trip, and just a short ferry trip from mainland Perth. Whales, seals, dolphins – the gang’s all here! 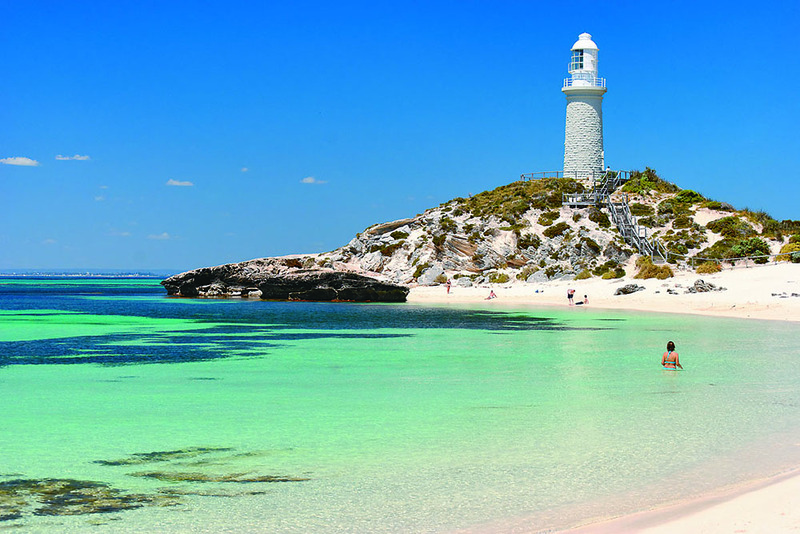 About 650,000 visitors head to Rottnest each year to bask in the sunshine and explore this island playground. The diversity of the indigenous flora and fauna makes for a nature lover’s dream, and Rottnest is ideally located for a close encounter with migrating humpback whales, bottlenose dolphins, New Zealand fur seals and Australian sea lions. 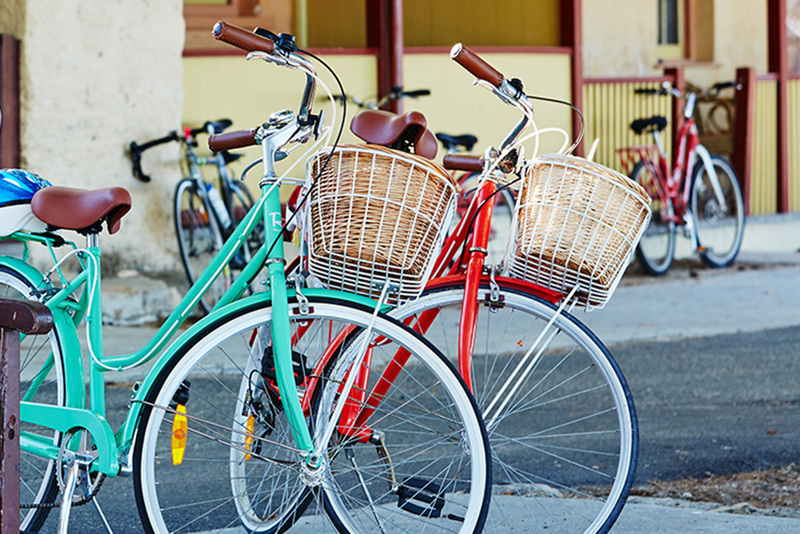 While bicycle is the most popular mode of transport, the cooler months are also a spectacular time to explore the island’s unique landscapes along the Wadjemup Bidi: a series of walk trails that take you across spectacular coastal headlands, past stunning inland lakes and encounter both natural and manmade attractions along the way. The Wadjemup Bidi is 45 kilometres of trails made up of five sections, each filled with culturally and environmentally significant landmarks to interpret and experience. ‘Bidi’ means ‘trail’ or ‘track’ in Noongar, the language of the Whadjuk Noongar, the traditional owners of Rottnest Island. You’ll never be short of activities to keep the whole family entertained with a nine-hole golf course, tennis courts, basketball court, mini golf, trampolines, skydiving, an aqua park and picture hall screening latest- release movies. History buffs can also explore Rottnest’s unique mix of Aboriginal, colonial, maritime and military history. Whatever is on your Rottnest to-do list, there’s little doubt it will be an experience you won’t find anywhere else in the world.